Optimizing your website for keyword searches is one of the most critical aspects to search engine optimization. A plethora of tools exist out there that can help you find your keyword ranks, but I like to use SEMRush for this task. In this blog post, I will answer what keywords does my site rank for, how you can improve your search results, and more. I will also share the results that I see from my steps below to share how valuable these suggestions are. Using SEMRush, we can use the organic research section to get an idea of what terms already rank. You can either put in a URL that you want to review or look at the entire domain. SEMRush offers more insight for marketers then solely relying on a tool like Google Search Console which is free. SEMRush will break out more useful metrics like the search volume, the cost per click, a trend, and more. This information solves the issue on what terms your website ranks for, but we can take this a step further to improve the ranks. 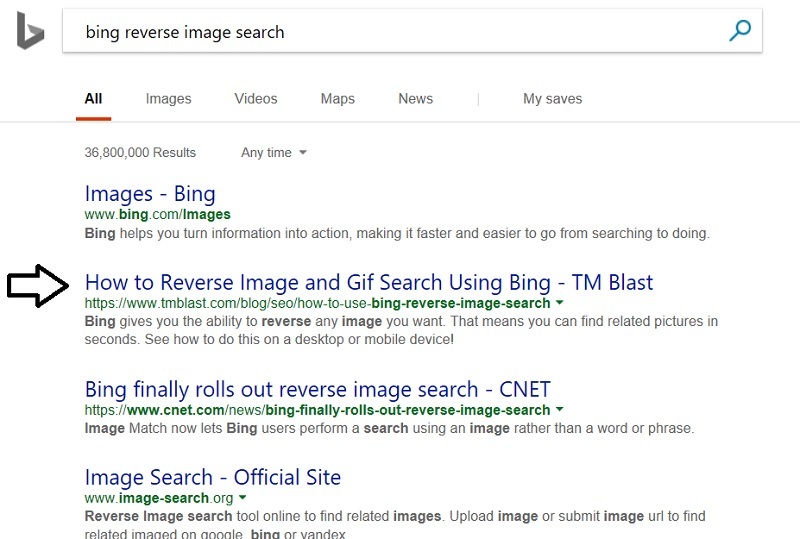 Here is an example of my website ranking on page one for the term “bing reverse image search.” I can see that this search term receives about six hundred searches per month, so it is worth my time to go after. You can take that root keyword term and place it into SEMRush to begin the keyword research portion. See below how this looks. From this view above, I can see that there is a right amount of related search terms around this topic. The root term might rank on page one, but I can certainly help beef up this page to cover more semantic terms to help drive more traffic. Here is the growth of this page on my website due to the steps that I will outline below. I like to show this picture above for a few reasons. One of the reasons is that SEO indeed takes a long time to see excellent results. Even performing all of the tips below, you have to be patient and trust the system will drive extraordinary results. Here are my tips below on what you can do to turn more engagement. One way to improve keyword ranks in Google is to work on the title tag and the meta name description. One of the tips that I like to give to people is that the start of the title tag holds more weight than the end of it. What I mean is that you want to have your title tag set up as a primary keyword, secondary keyword, and perhaps the third term. Here is an example of my title tag against the competition. My title tag and description are already more interesting when you compare it to the other three listings, so this was an opportunity. Bounce rate is something that I feel makes a difference in an indirect way to better rankings. There is a lot of talk of Google using a pogo stick effect to measure click quality from a search result. Regardless of if you think it is a ranking factor or not, you should look at areas that can make a better experience against the competition. If your page is like the other one hundred on the web, you don’t deserve any special recognition from search engines. Instead, focus on two main areas that revolve around bounce rate. First is the load time of the web page. Use a tool like GT Metrix to learn what is causing a page to load slowly for people. Shaving off a few seconds on a load for a page could result in more people reading the web page, sharing it, and ultimately not going back to Google to refine their query. If the load time is all set, you then need to focus on ways to keep users on your web page. Think of avenues that can help people get the most info on your page. A video, an infographic, a game, and so much more can give the indirect quality signals to Google that this page is one if not the best page about this topic. Bounce rate is something that should be a focus as well when it comes to this strategy. You want to make sure that people who ultimately come to a web result are staying on the page. There is not optimal bounce rate, but you should focus on things that can make the experience better. One indirect way to help improve a keywords position is to focus on making the page load fast. That means shrinking images in total size, compressing files, or finding other ways to speed the page up. Internal linking is a trick to help give signals to Google to help understand the importance of a website. You can add relevant and long tail internal links that point back to a particular article on your site. Internal linking is a grand strategy when the content is already related to the section you want to link to, so Google can see the relation. You can do this with the new and old material, but remember to diversify your internal linking or Google could look at as spam. For example, I would not internally link “affordable lawyer” all throughout my website. I would diversify it to include related terms to what I offer. You also want to focus on linking out to credible places on the web. The web is a bunch of connections, so don’t act as an island. Don’t focus on a ratio of internal and external links, but instead focus on providing the best experience for your audience. Learning what terms your website ranks for is the first step in developing a successful SEO strategy. As a note, Google and Bing will show different search results for different people, so take the rank as directionally. You also want to bucket terms so you can capture that long tail search that people type in too. If you are looking for any help, I am a Boston SEO Expert and offer affordable rates for my services.